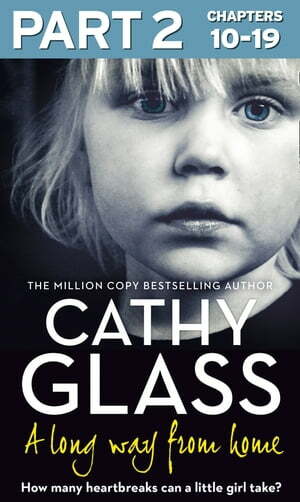 Collins Booksellers - A Long Way from Home: Part 2 of 3 by Cathy Glass, 9780008275914. Buy this book online. The true story of 2 year-old Anna, abandoned by her natural parents, left alone in a neglected orphanage. Elaine and Ian had travelled half way round the world to adopt little Anna. She couldn’t have been more wanted, loved and cherished. So why was she now in foster care and living with me? It didn’t make sense. Until I learned what had happened. … Dressed only in nappies and ragged T-shirts the children were incarcerated in their cots. Their large eyes stared out blankly from emaciated faces. Some were obviously disabled, others not, but all were badly undernourished. Flies circled around the broken ceiling fans and buzzed against the grids covering the windows. The only toys were a few balls and a handful of building bricks, but no child played with them. The silence was deafening and unnatural. Not one of the thirty or so infants cried, let alone spoke.